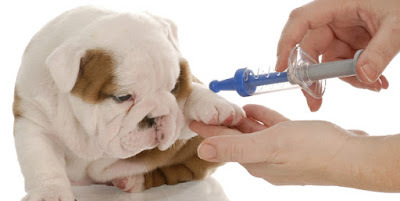 Companion Animal Hospital Blog: Rabies Vaccine - Why does my pet need that? These days, we rarely hear about a domestic animal with rabies virus, and when a human gets rabies, it makes the evening news! However unseen, rabies virus is endemic to the continental United States, which results in many of our wildlife animal friends still affected. In the latest epidemiologic report from 2010, the CDC identified 6,153 cases of rabies in animals and 2 human cases. Of those, 92% of cases were in wild, undomesticated animals. Domestic species accounted for 8% of all rabid animals reported in the United States in 2010. In 2010, the number of reported rabid domestic animals decreased compared to 2009 among all domestic species except cats. The principal hosts today are wild carnivores and bats. As you can see, rabies virus is still among us! Your pet needs the rabies vaccination to prevent possible exposure. There is no treatment for dogs or cats, and infection with rabies virus for pets is 100% fatal. And the bottom line is, rabies vaccination is the law. The law comes into effect if your pet is reported to medical workers or the police for scratching or biting a person, or in some cases, another animal. If your animal is current on their rabies vaccination, you will get a ticket for the bite/scratch and you are required to home-quarantine your pet for 10 days. If your pet is not current of their rabies vaccination, you will get a ticket for the bite/scratch and you are required to impound-quarantine your pet at a shelter or veterinary clinic for 10 days. Rabies vaccines are very safe. Less that 0.05% of animals have a reaction to the rabies vaccine. Also, rabies vaccines are 100% effective in preventing rabies infection! My exotic pet vet explains to us why we need this and I'm glad that they think the welfare of the animals. Thank you for sharing this. Retractable leashes are excellent for long walks, but they don't provide you a lot of control that could hinder your first training. Learn more about dog peer on this site. i am planning to start Awareness campaign on The Best Earth day Quotes in my area. And I must say your article helped me a lot. Totally Loved your Blog. Keep up the good work. Your dog still ought to sniff your hand. If you are curious to know more about cavoodle, go here.